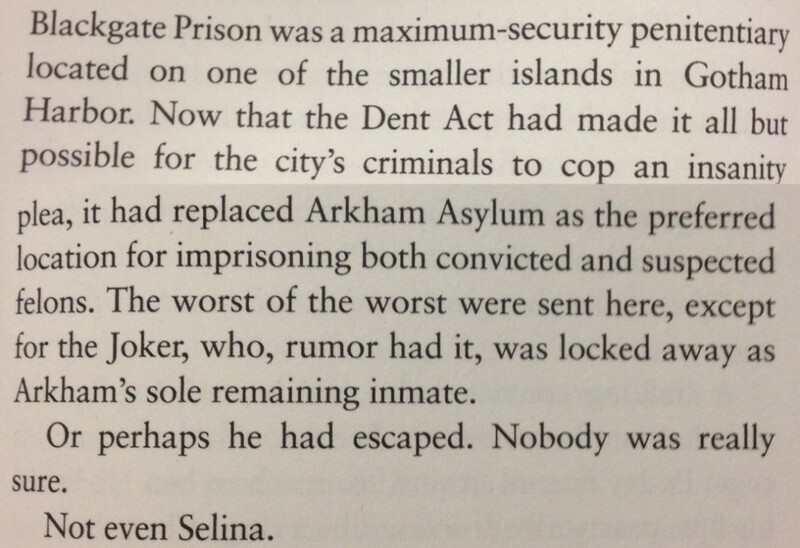 However, the ‘Dark Knight Rises’ has a novelization of the film and in the novel, there is small section that references the fate of The Joker, which is pretty cool. MTV got their hands on the book and revealed the following image. 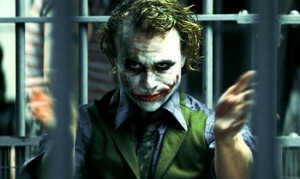 This is awesome, as Heath Ledger made the Joker role eternal. The Joker is one of the best villains of all time and I’m glad he got a shout out, however I still hold out hope for an extra on the Dark Knight Rises blu-ray to include a scene referencing the Joker. And one fan from Movie Moron posted a fan made sketch of what might have happened. 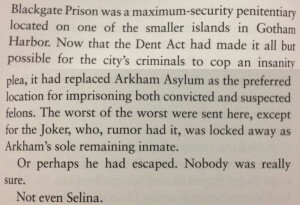 This entry was posted on Thursday, July 26th, 2012 at 12:17 pm	and is filed under Comics, Film, News. You can follow any responses to this entry through the RSS 2.0 feed. You can skip to the end and leave a response. Pinging is currently not allowed. « ‘World of Warcraft’ Mists of Pandaria Expansion Launches September 25, 2012!! !